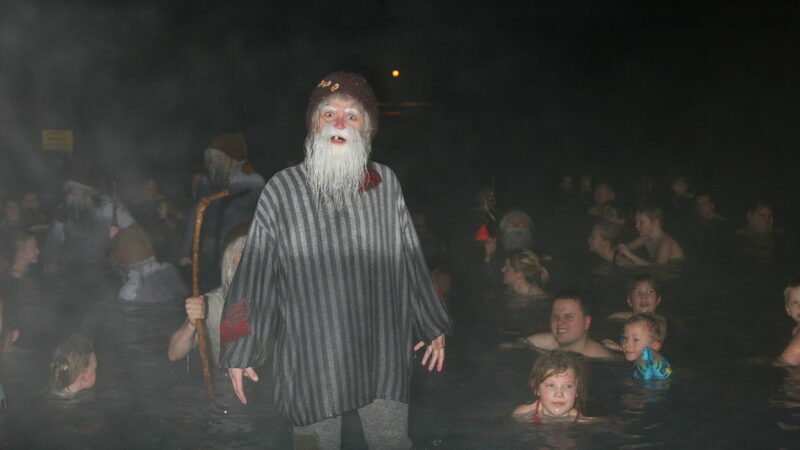 Every day during Advent, the Icelandic Yule Lads welcome guests in Dimmuborgir, Myvatn. The Yule Lads live in Dimmuborgir, in the Myvatn area. They are the 13 sons of Grýla – a horrifying giantess living in a cave in the lava fields – and her third husband Leppalúði. 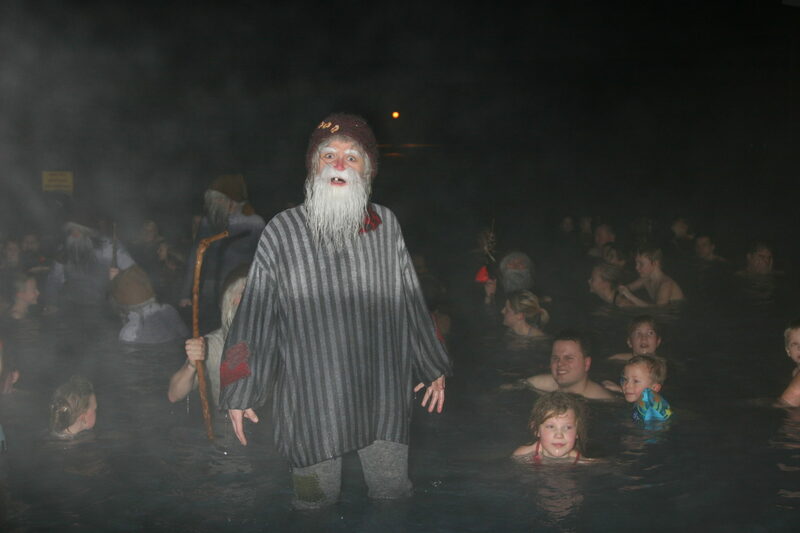 On Saturday 12 of December, the Yule Lads have their annual bath and many people join them as guests to have some fun.